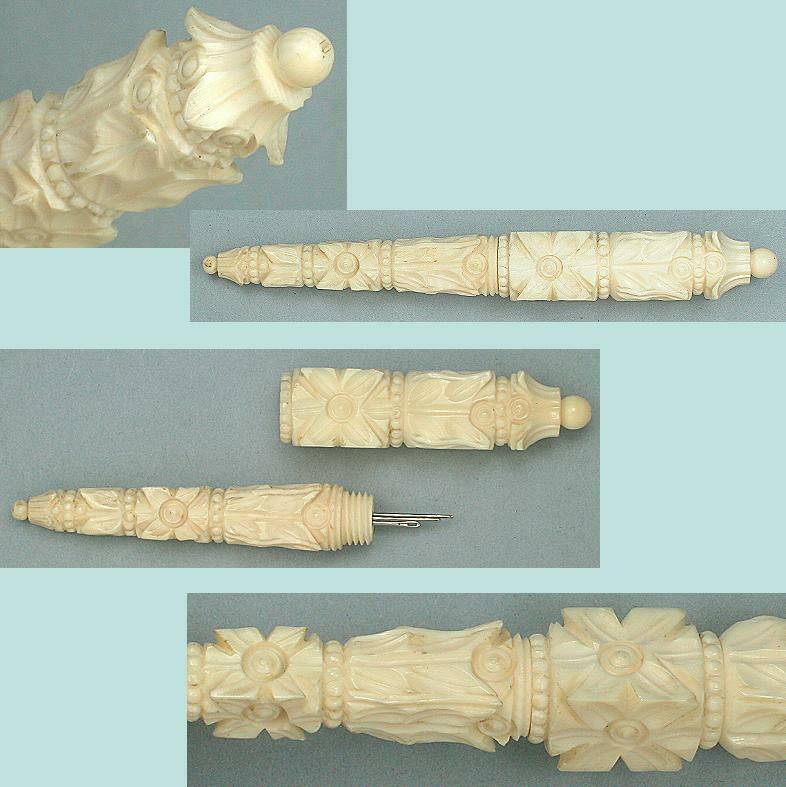 This antique tambour hook is smoothly hand turned and carved and has a beautiful old patina and ivory grain pattern. The hook cover can be screwed to the top to lengthen the handle and prevent loss. 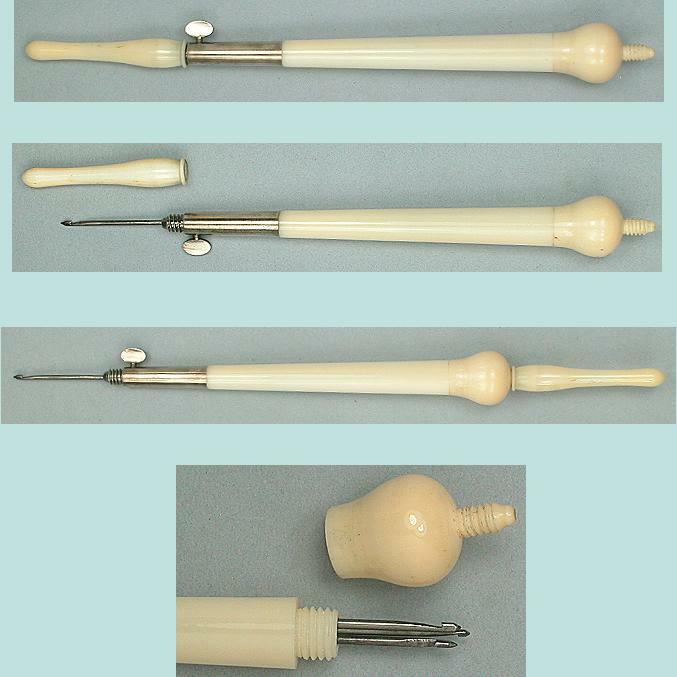 It has a sterling silver collar and thumb screw (tested) and the top unscrews to reveal a storage compartment for holding the hooks (It has 3 small steel hooks). The condition is excellent with no chips or other damage. It screws together well in all directions and measures 5" long closed. The thumb screw tightens properly to hold the hook.